Blockchain startup CargoX will roll its blockchain-based bill of lading solution into production next month, having carried out its first live pilot. The trial saw the shipment of garments from Shanghai in China to Koper in Slovenia, where it arrived on Sunday, using CargoX’s Smart B/L service. It involved Metro d.d (the importer), Hangzhou Doko Garments (the exporter) and was shipped by a large freight forwarder, whose name has not been disclosed. According to CargoX CEO and founder Stefan Kukman, other trials are currently underway, and the product will be made available to clients next month. The Slovenia-based blockchain firm raised over US$7mn in an ICO in January. The platform, which digitises the issuance and transfer of bills of lading, targets freight forwarders and NVOCCs (non-vessel operating common carriers), who will then be able to offer the solution to their customers. In the first live pilot, which the startup announced completion of today, the bill of lading was successfully processed in minutes, and at a cost of US$15, with the help of a public blockchain network. That’s a significant improvement from the days or weeks that a conventional, paper-based process usually takes, and which costs up to US$100. “This will give us the opportunity to lower the cost of importing goods significantly,” says Miloš Košir, logistics manager at Metro d.d., the pilot’s importer, which runs a network of 200 MANA clothing stores throughout Central and Eastern Europe. “We import hundreds of TEU [twenty-foot equivalent unit] from the Far East, and we are always trying hard to optimise our supply chain. If it raises the safety and reliability of the document transfer, that is an added value for us as well.” Zongyong Lin, CEO of Hangzhou Doko Garments, a manufacturer, and the exporter on the pilot, points to the option of overseeing the flow of the bill of lading, while always having access to an archive, as “advantages that we really think could bring a great benefit to us. We are looking into the opportunity and the effect it would have for our company as a whole”. A tight race to digitise shipping CargoX is not alone in its aim to help firms involved in global trade digitise and streamline documentation using blockchain. Just earlier this month, Maersk and IBM announced they are live with the early adopter programme for their blockchain-powered global trade platform, called TradeLens, involving 92 participating organisations from across the globe. The platform connects all parties in the trade ecosystem and enables them to interact efficiently and access real-time shipping data. It also allows participants to digitalise and exchange trade documentation – anything from packing lists and shipping instructions to bills of lading and certificates of origin. The announcement followed a 12-month trial phase where more than 154 million shipping events were captured on the TradeLens platform, which will be made fully commercially available by the end of the year. Meanwhile, CargoX has dedicated its efforts to “solving one problem at a time”, says Kukman. In the first instance, the firm is focusing only on the bill of lading, but it plans to later expand its platform to the letter of credit. “Looking at the current situation, we made a proper decision and sticking to our game plan is paying out,” Kukman says. “By successfully completing the official test shipment we are concluding our development and testing phase of our CargoX Smart B/L solution, which will now be available to all logistics and shipping companies.” The firm says it is currently onboarding other large freight forwarders, NVOCCs and their customers. One client that has been named is Swiss freight forwarder Fracht AG. Kukman tells GTR the solution is now “stable from the development point of view”, but that “there might be some product tweaking as we gather feedback from customer trials”. The feedback has so far been positive, but rolling it out across all of the freight forwarder’s customers will take time, he says. “Forwarders of this magnitude are huge and globally dispersed entities, so it is not possible for them to roll out the solution in a very short time. They will evaluate how to integrate our solution into their processes, and we expect that to happen in the coming months. But the calculations of time and money saved speak for themselves – and this might help them improve their fiscal earnings really quickly and efficiently. 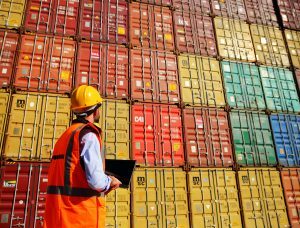 And with less risk to their customers, too.” The post CargoX goes live with blockchain-based bill of lading appeared first on Global Trade Review (GTR).